His new chief of staff Mick Mulvaney said earlier he expected the shutdown to “drag on a lot longer”. 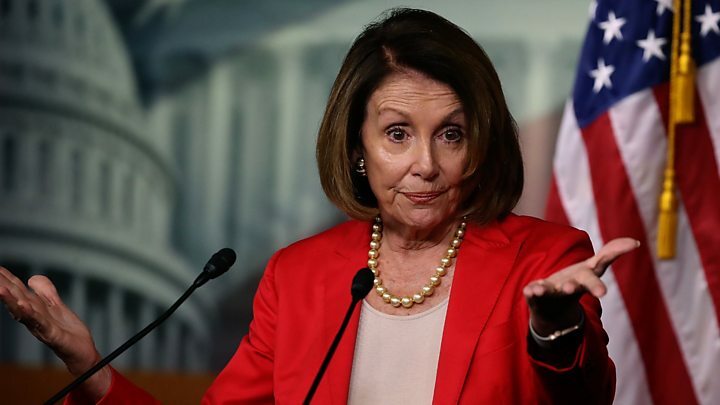 Democrats refuse to back the funding, calling the wall “immoral”. The wall was one of Mr Trump’s key campaign pledges and he had said Mexico would pay for it, something Mexico has never agreed to. But he also repeated an earlier threat to declare a national emergency “depending on what happens in the next few days”. Mr Trump also repeated the idea of building the wall out of “steel instead of concrete”, presumably in the hope that Democrats could then claim it was not a wall. Mr Mulvaney told NBC’s Meet the Press on Sunday that he thought the controversy was “going to drag on a lot longer. I think that’s… by intention”. He did not elaborate. One idea that has been floated, reportedly by Trump adviser Jared Kushner at the meeting on Saturday, was to give the Democrats new measures on young immigrants called “Dreamers”, in exchange for the wall funding. When the Democrats took control of the new Congress this week, they passed spending bills to reopen the government. The leader of the Republican-controlled Senate, Mitch McConnell, immediately called the move “a time-wasting act of political posturing”. 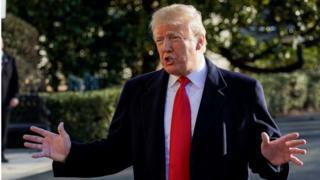 In Friday’s news conference, Mr Trump told reporters he might consider asking his cabinet to decline a $10,000 pay rise that is due to take effect because a pay freeze has expired as an inadvertent result of the shutdown. “We have a five-month-old son so we have about a month left before we’re going to have to start having those difficult conversations about what to do next,” he said. Food and Drug Administration commissioner Scott Gottlieb said on Saturday his agency had only a month’s funding left for some of its activities.